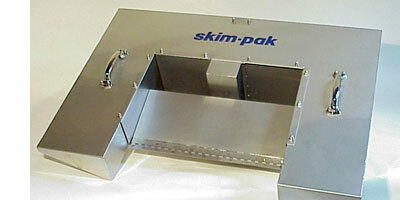 Skim-pak skimmers produce a wide range of versatile skimmers for oil or other liquid separation. 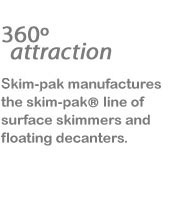 All of Skim-pak’s products are engineered for dependable operation, ease of use, and with a durable construction design guaranteed to insure a long service life with minimal or no maintenance. Our product pages provides information on specific equipment. To facilitate your search the equipment has been divided into general applications, but there are many applications not covered here. For advice on the proper equipment for your application, please call us at 831-920-1470 or click here to fill out a worksheet.